building » Developer Team :: Best choice for developers! Create real-time web connected applications with support for WebSockets. Includes client, server, and proxy components for building and connecting to WebSockets (HTML5) based applications. IP*Works! WS includes a set of powerful components for integrating WebSocket communications capabilities into Web, Desktop, and Mobile applications. The components are perfect for building Web connected applications that require real-time data including chat, multi-player games, live financial applications, and more! FaceSDK enables Microsoft Visual C++, C#, Objective C, VB, Java and Delphi developers to build 32-bit and 64-bit applications for Web, Windows, Linux, macOS, iOS and Android with face recognition and face-based biometric identification functionality. FaceSDK is used in hundreds of applications for identifying and authenticating users with webcams, looking up matching faces in photo databases, automatically detecting facial features in graphic editors, and detecting faces on still images and video streams in real-time. FaceSDK has been used for building secure identification, surveillance, time and attendance control systems. RealThinClient SDK is a software component for building reliable and scalable cross-platform HTTP/HTTPS applications with Delphi. Built with RealThinClient SDK, an application server can handle thousands of active connections in an efficient multi-threaded manner. Since its first public release in 2005, it has been extensively stress-tested and used by more than 1000 developers worldwide. Ready to start building documentation without all the hassle? 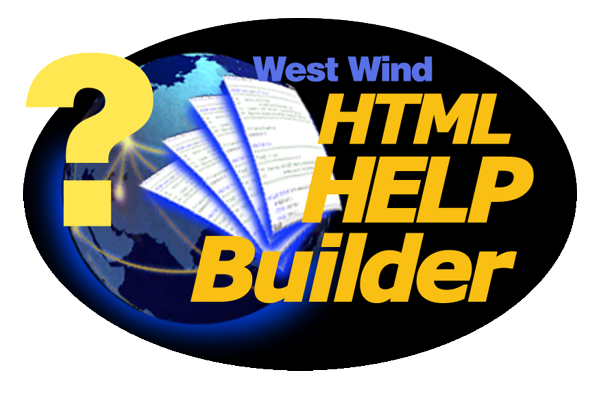 Using Html Help Builder you can focus on your content and use a productive work flow with a text optimized editor using the popular Markdown editing format. EXT.NET is an ASP.NET component framework built with Sencha Ext JS. Focus on your softwares business logic and take advantage of 100+ components and 600+ examples in the Examples Explorer! Ext.NET boosts your productivity! We offer 100+ components and 600+ examples. Browse the examples using the sidebar menu on the left, check their source code, open in a separate window if you like. Ext.NET is an advanced ASP.NET (WebForms + MVC) component framework integrating the cross-browser Sencha Ext JS jаvascript Library. Telerik UI for PHP is a complete framework for building modern HTML5 web and mobile apps using PHP. The package includes a suite of 40+ jQuery-based UI widgets that come with PHP server wrappers, an MVVM framework, customizable themes and templates. You can easily build rich, modern web applications in your preferred server-side language because Telerik UI for PHP renders the javavascript. DevForce is a framework for building and operating data-rich business applications. DevForce provides the tools, techniques, and libraries that you need to build powerful business applications fast. DevForce's shared domain model makes it easy to develop, test, and deploy applications across multiple client technologies. It also makes it easy to standardize your development environment onto a single framework that lets developers move seamlessly across projects. Delphi components for building reliable cross-platform HTTP(S), Clients, Servers, Routers, Proxies, Load Balancers & more вЂ¦RealThinClient components development, marketing, sales and customer support are being handled by вЂњDeltaSoftвЂќ d.o.o. from Croatia, with Danijel TkalДЌec as CEO and main product developer. вЂњDeltaSoftвЂќ d.o.o. was founded by Danijel TkalДЌec in 1998, with main focus on software development. EXT.NET is an ASP.NET component framework built with Sencha Ext JS. Focus on your softwares business logic and take advantage of 100+ components and 600+ examples in the Examples Explorer! Ext.NET boosts your productivity! We offer 100+ components and 600+ examples. Browse the examples using the sidebar menu on the left, check their source code, open in a separate window if you like. Ext.NET is an advanced ASP.NET (WebForms + MVC) component framework integrating the cross-browser Sencha Ext JS j@vascript Library.